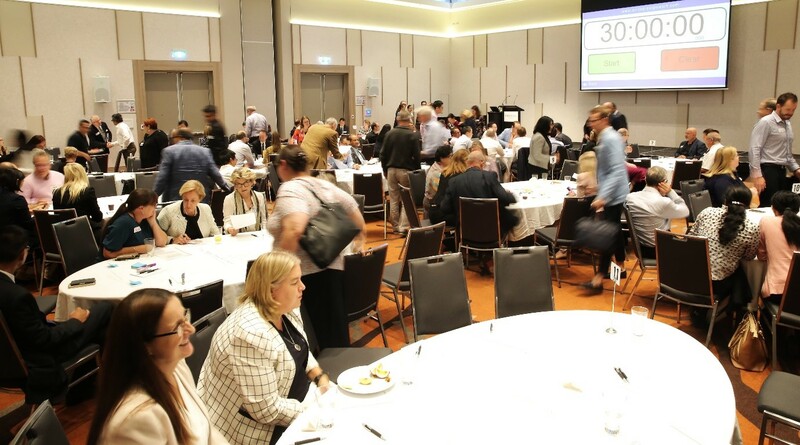 After a busy day treating patients, more than 100 WSLHD staff gathered at Parramatta last Wednesday night for the People Matter World Café for Clinicians. In his opening address Graeme Loy, WSLHD chief executive, highlighted the need for cultural change. “In terms of healthcare quality, we are an outstanding District, but our challenge is culture,” Graeme said. Performers set the scene with monologues and dialogues based on feedback from the 2018 People Matter and surveys for junior medical officers. Participants then chose areas of interest for three rounds of group discussions on topics ranging from mentoring and career development, to wellbeing, organisation structure, bullying and harassment, senior manager communication, and recruitment. Dr Romesh Singham, Director of Emergency Medicine, Auburn Hospital, was impressed with the level of engagement from senior medical staff and the solutions being suggested. “I am very hopeful that we’ll have some positive outcomes,” Dr Singham said. At the end of the evening, Graeme Loy said the event was a valuable opportunity for members of executive to hear from so many senior medical staff across our District. “Based on the feedback and ideas, we will identify some areas that we can address quickly,” he said.